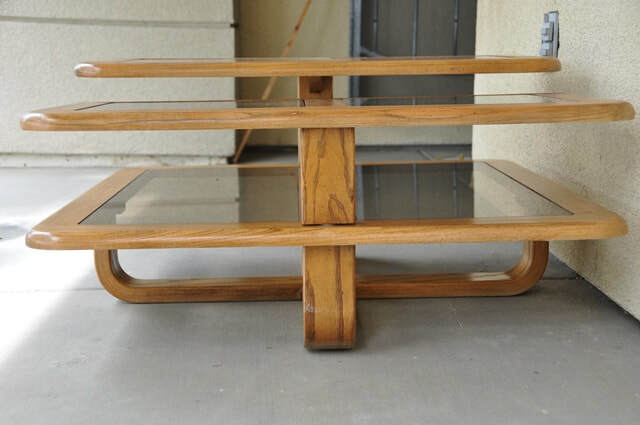 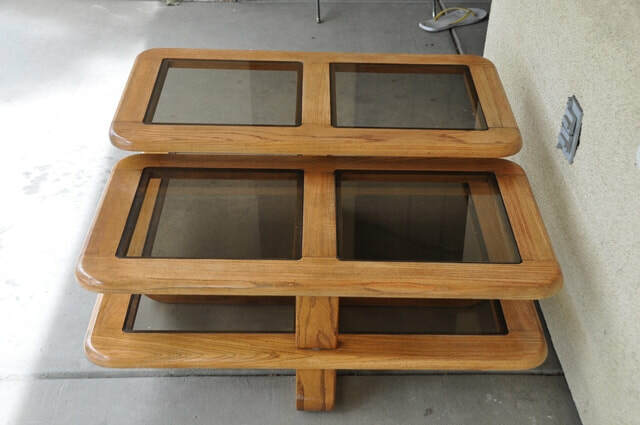 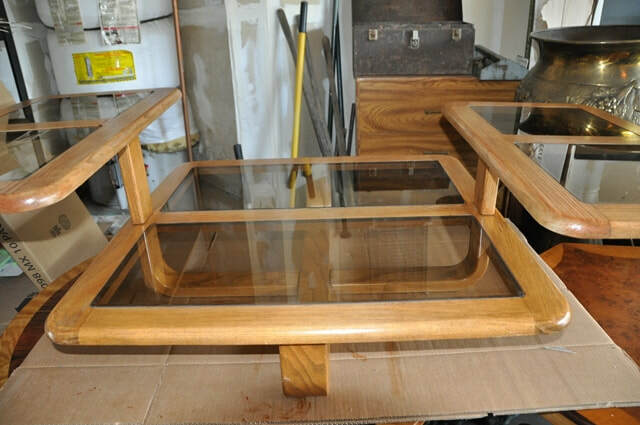 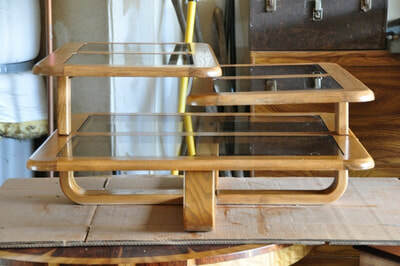 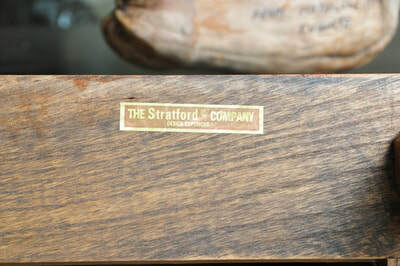 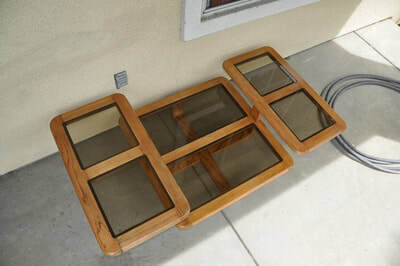 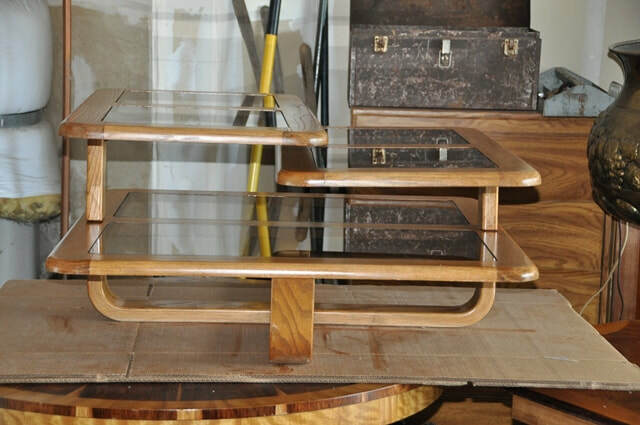 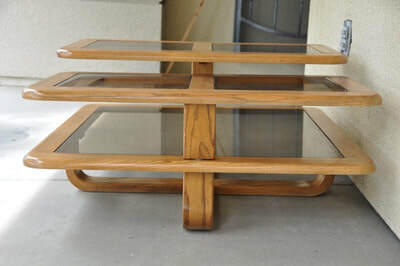 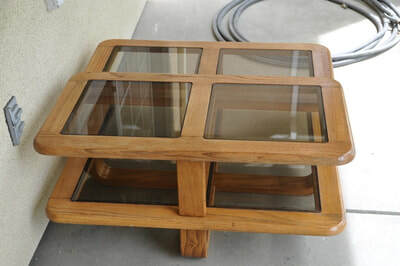 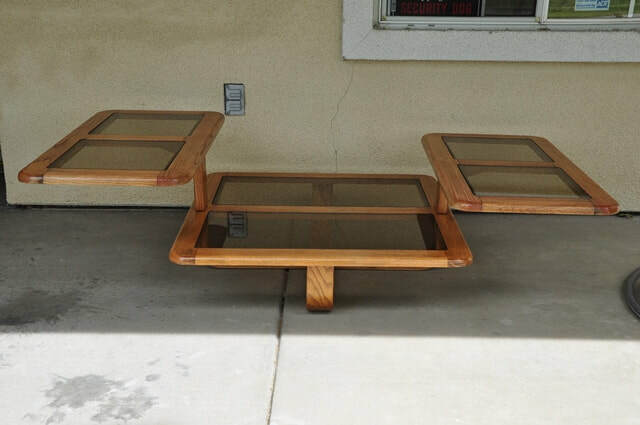 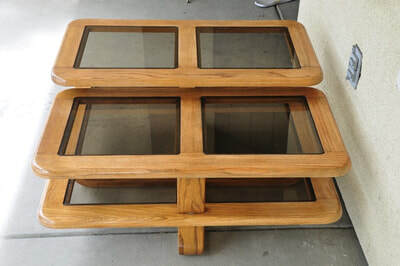 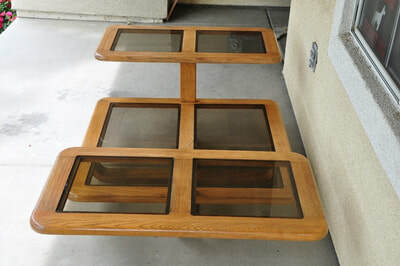 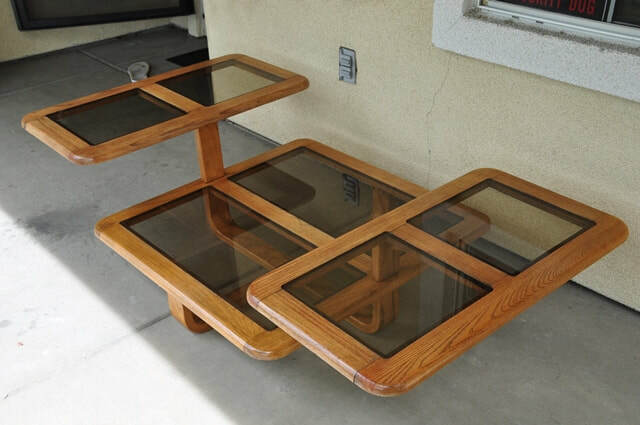 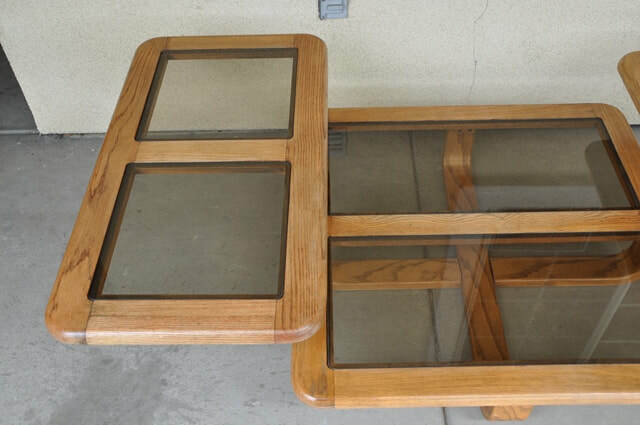 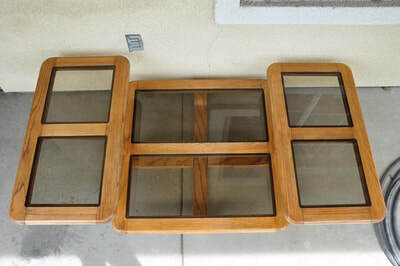 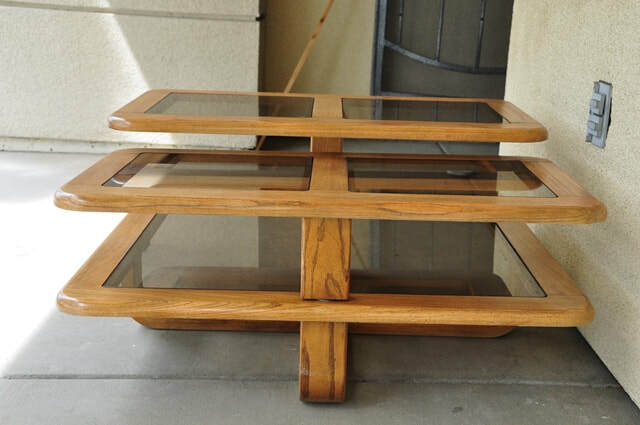 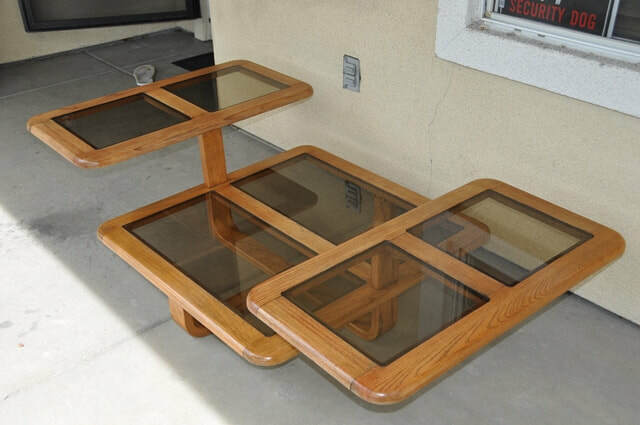 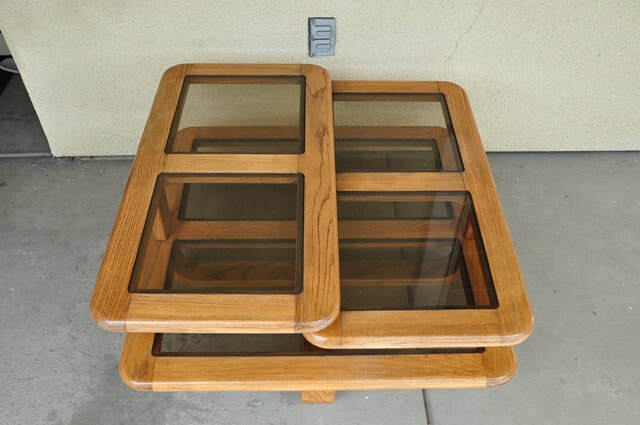 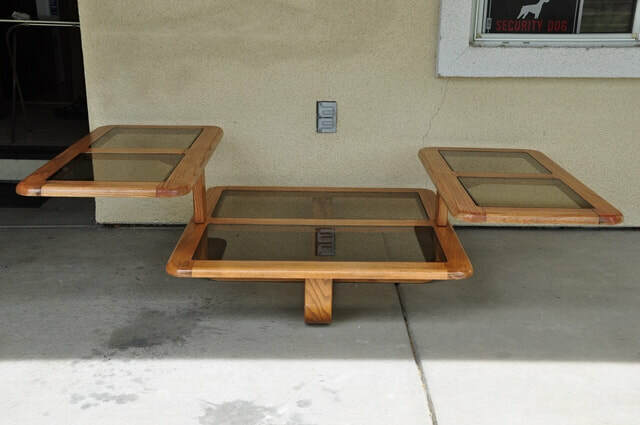 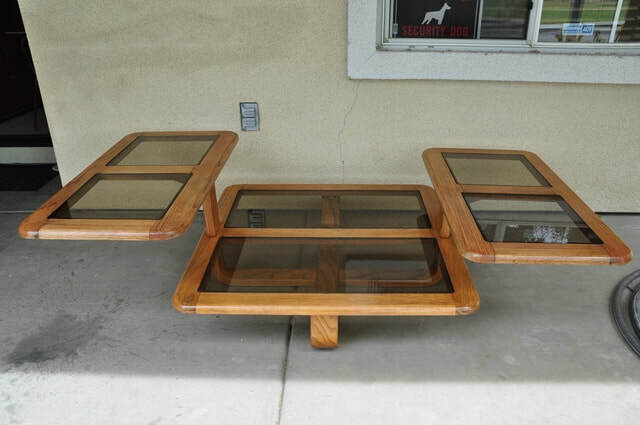 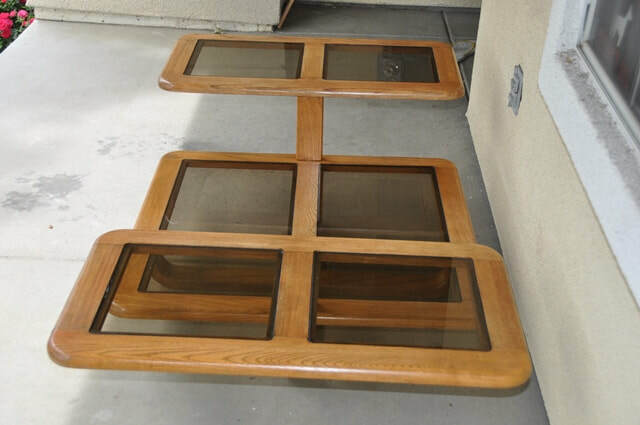 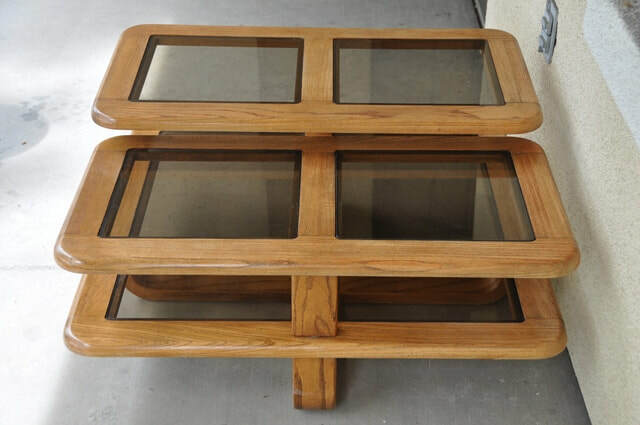 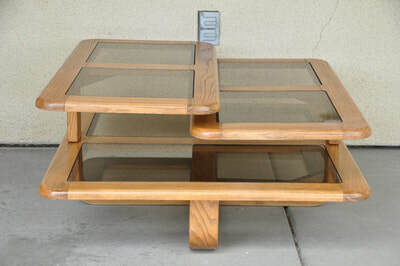 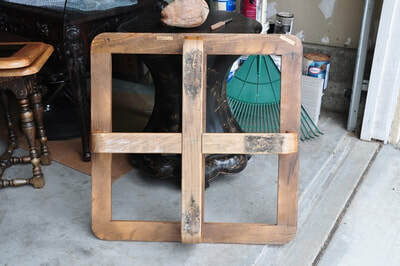 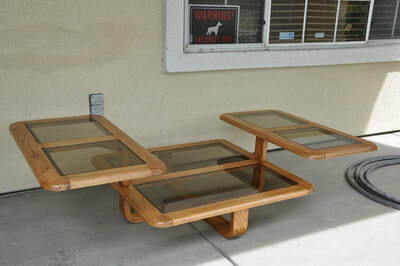 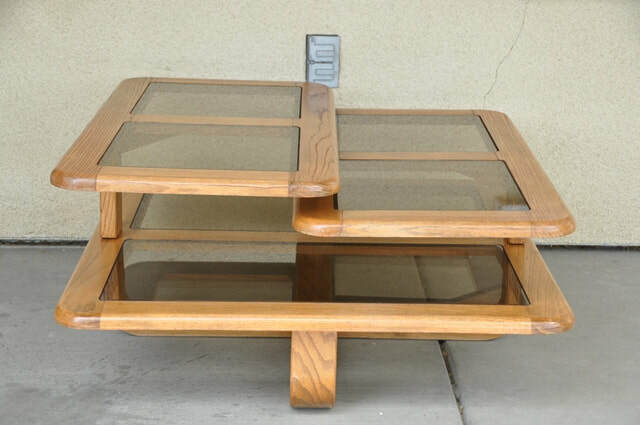 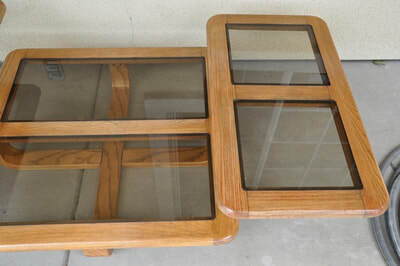 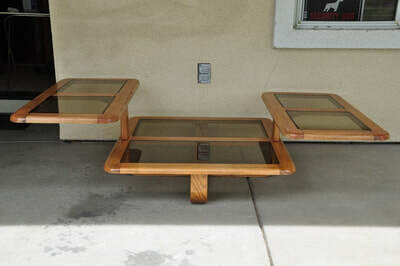 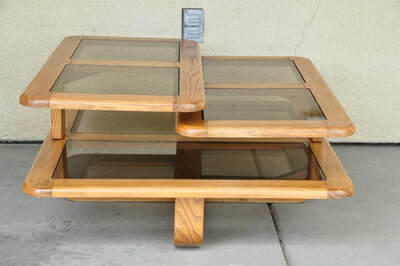 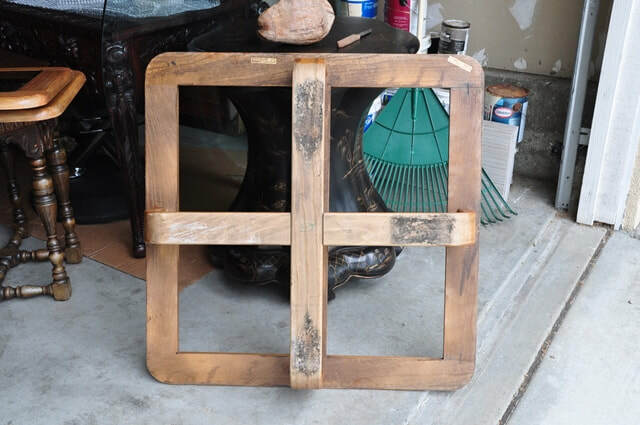 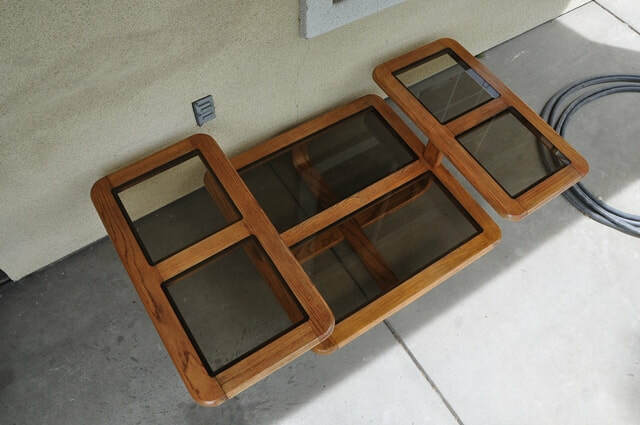 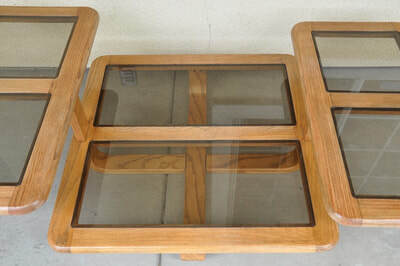 This is a unique 3-tier wooden coffee table with 6 smoked glass inserts. 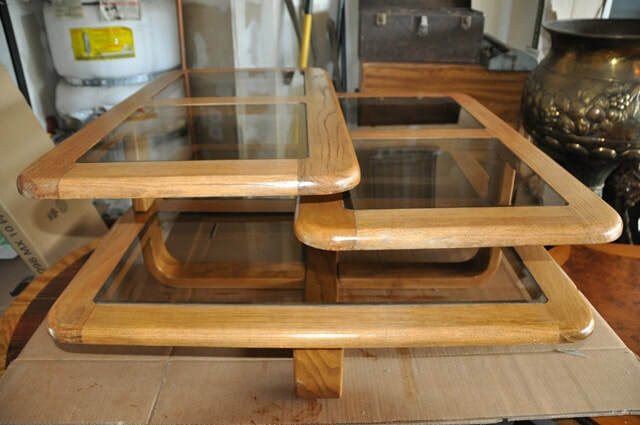 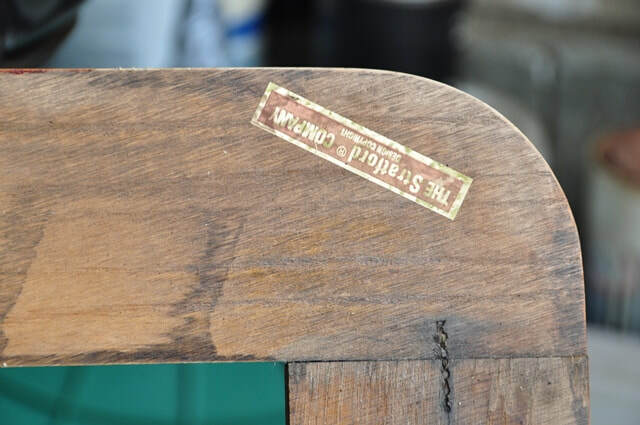 The interesting feature is that the two upper arms can be rotated to increase or decrease the overall length of the table. 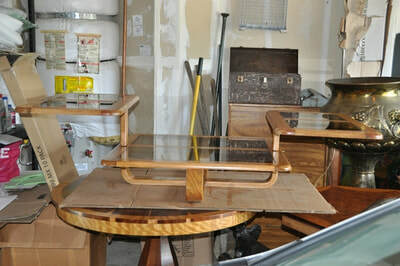 In extended position the table is 64" wide and 34" deep. 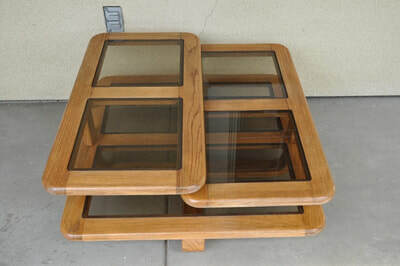 The lowest shelf is 8-1/2", the middle shelf is 15" and the top shelf is 17-1/2" high, respectively. In collapsed position the width reduces to 34". 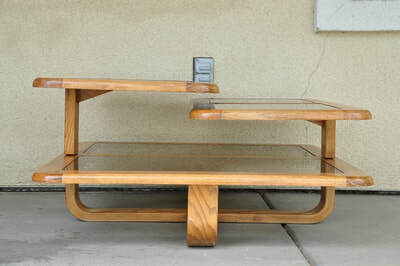 The table is 60 lb in weight.